LEGO are a great gift, anytime! The distinctive sound a shake of the box makes is a kid favorite! Hurry and get the LEGO Creator Mighty Dinosaurs Dinosaur toy today for only $11.99 from Amazon – Regularly $14.99! This is the best price ever on Amazon. Limit 3. 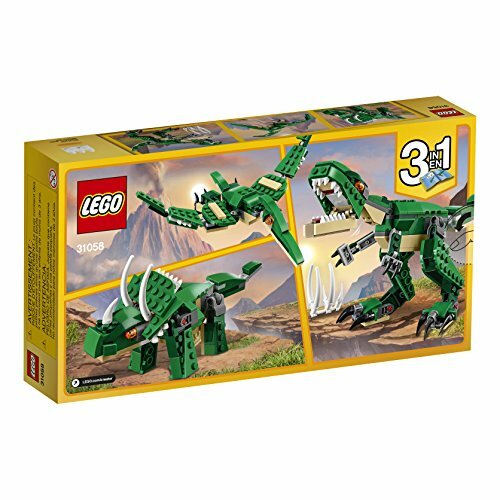 Buy the LEGO Creator Mighty Dinosaurs 31058 Dinosaur toy from Amazon. Next article10 Pack Barbie Doll Clothes Dresses + 10 Pairs Shoes – $2.39! !